"The Hunger Games: Songs from District 12 and Beyond" enters The Billboard 200 at # 1, after selling 175,000 copies last week. That is the greatest one-week total for a soundtrack of a theatrically released movie in digital history. 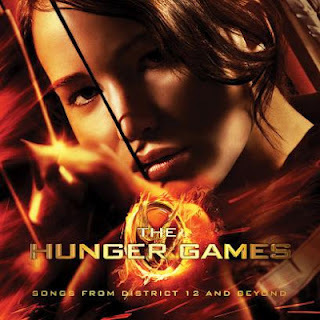 "The Hunger Games" soundtrack, produced by country musician T-Bone Burnett, features songs by Taylor Swift, Kid Cudi, Pistol Annies, Miranda Lambert, Maroon 5, and The Civil Wars. The soundtrack's lead single, "Safe and Sound" by Swift and The Civil Wars was released in December and debuted at #30 on the Billboard Hot 100 singles chart. Swifts second single from the soundtrack, "Eyes Open," landed at # 4 position of the Digital Songs chart this week, selling 176,000 copies. The post-apocalyptic film "The Hunger Games," is based on the first of a best-selling series of young adult novels by author Suzanne Collins.